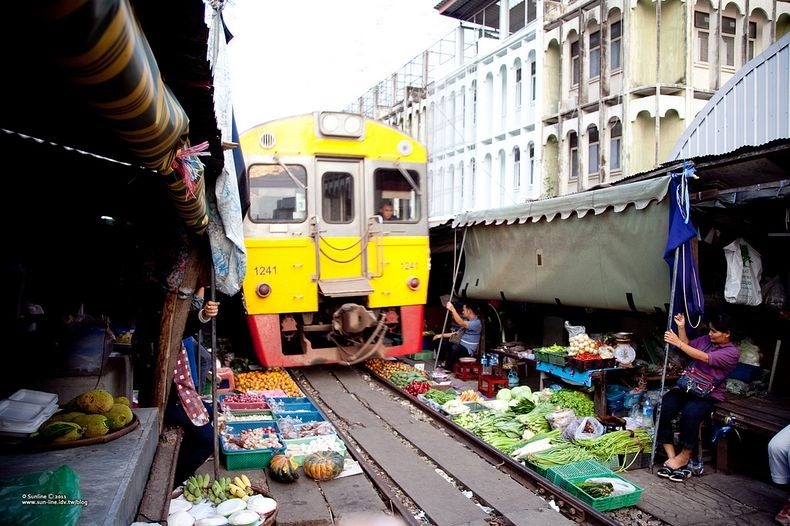 The railway became famous for its route through the Maeklong Railway Market, nicknamed (Thai: Talad Rom Hoop), meaning the ‘Umbrella Pulldown Market’. 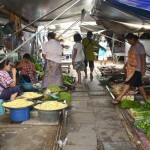 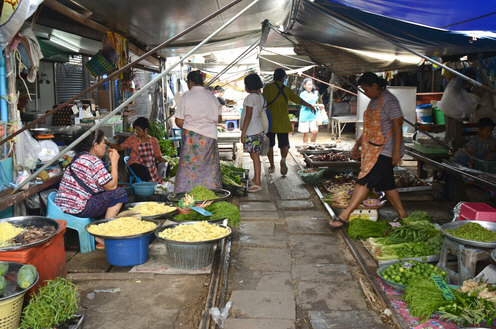 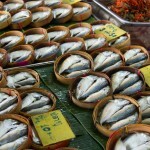 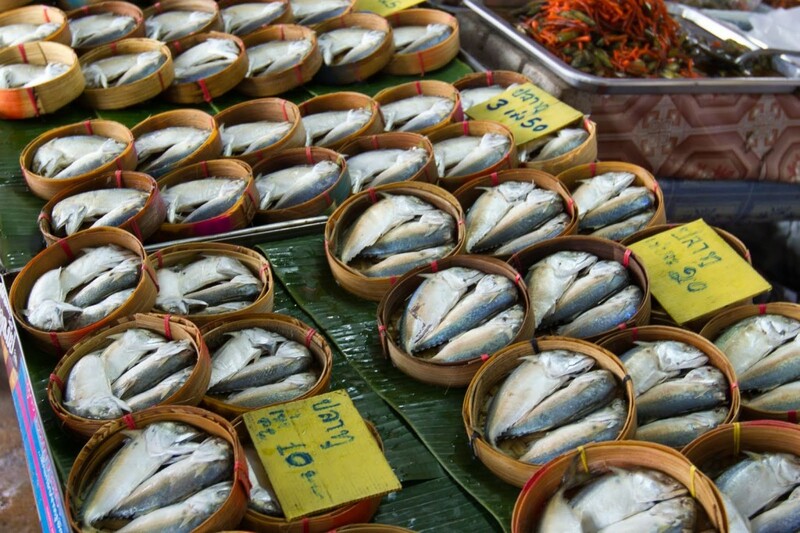 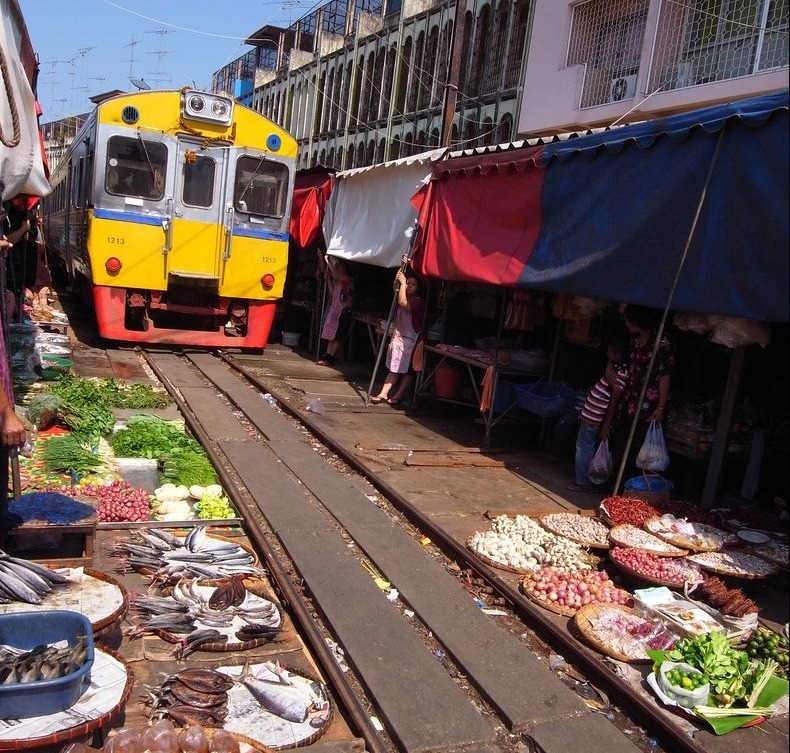 It is one of the largest fresh seafood markets in Thailand, and is centred around the Maeklong Railway’s track. 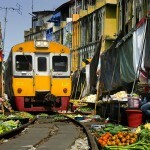 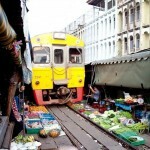 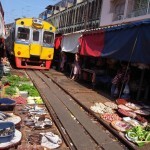 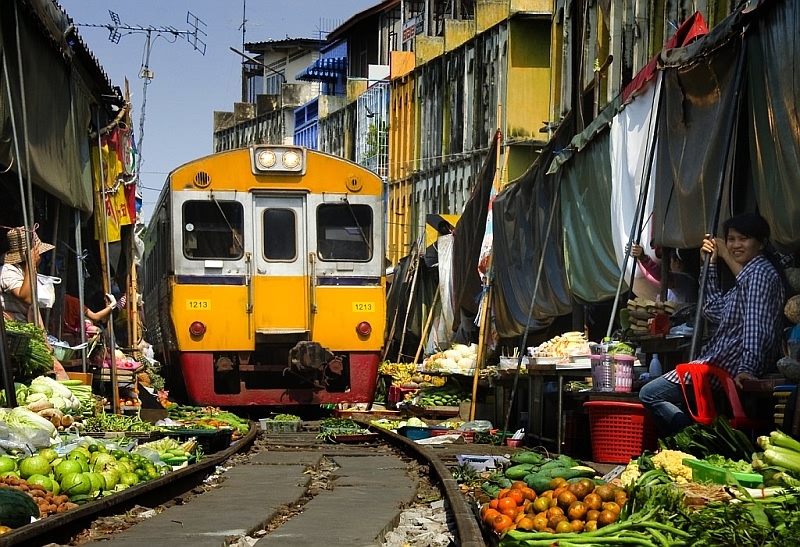 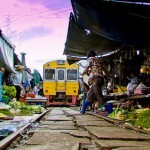 Maeklong Railway Market tour is roundtrips transfers and suitable for 1-6 passengers.